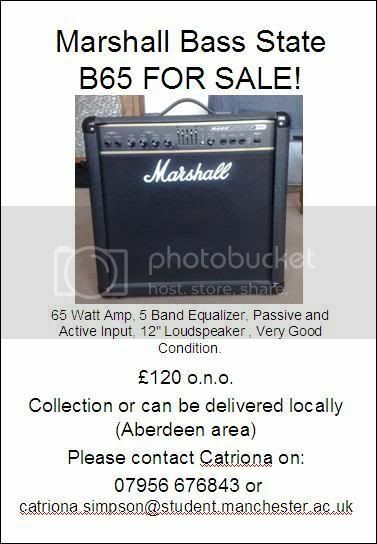 Marshall Bass State B65 FOR SALE! This is a great amp, but i don't play much anymore and just want a smaller amp that i can take to uni in manchester with me. Not actually interested in buying, but if you're looking for a small amp I've got a rarely used Fender Rumble 15 that I could give you for 45-55 quid. ohh, i might be interested actually, i'll give you a pm when i've sold this one.